VoIP Services: Why NOT Reward The Conventional Telephone System? Businesses today have been entrenched with a notion- business telephone services must be delivered by the conventional telephone companies only. Much has changed over the years then, why not the telephone services? The conventional system is old and lacks today's technologies. Why do businesses still use it? Well, there's a lot of play with regard to this. The large telephone companies have been traded publicly. This is one of the several reasons behind why people think several times before investing in new technologies. When there's recession year after year, the expense side of the equation is hit real hard. This pressure leads to cutting down on a few unimportant services. All this had a chance of being avoided if the companies had accepted new technologies with an open mind. Avoiding such technology has lead to opening doors for several alternative products- one of them being VoIP services. This is similar to what cell phones' invention did to the landlines. 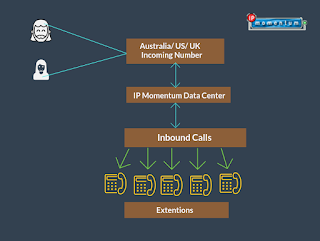 VoIP providers in India and several other countries have become the new business phone services and aim towards shutting down the conventional business phone system forever. It's amazing to hear that loyalty still exists- however, for the wrong product- traditional phone services. What have they done to earn the loyalty- auto renewals of existing contracts? Terrible customer services? Long, everlasting call waits during the transfer of calls between departments? Is that what you're looking for today- tortoise- like- momentum in your company? Well no, that's because, because of this several businesses have switched to VoIP service providers. They desired to move to a technology which is worth their time and money and can take their businesses forward, to great heights! As a business, observe how your suppliers and cut VoIP service provider might be next door! Explore what exactly hosted VoIP can do for the development of your business. First step, look into the mirror, see what you and your company needs. Then, look out for the right VoIP solutions provider- do your research. In the end, after all the checking and cross checking, experience the delightful VoIP technology and most importantly, please stop rewarding the conventional telephone companies right away!